RV Decals and Graphics in Los Angeles, Orange County, and Riverside. 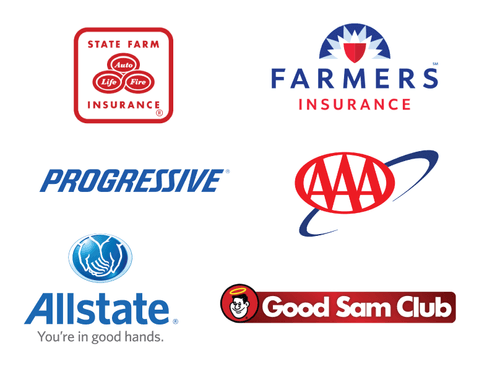 Centrally located in Chino, California. Peeling graphics and decals on RV’s is an all too common problem. Once the decals become brittle and start peeling, there is no reliable way to safely re-attach them to your RV. Using any kind of adhesives or glues to re-attach them could damage the gelcoat, fiberglass, or metal of your RV. The long term solution is to remove peeling decals/graphics and paint them on. 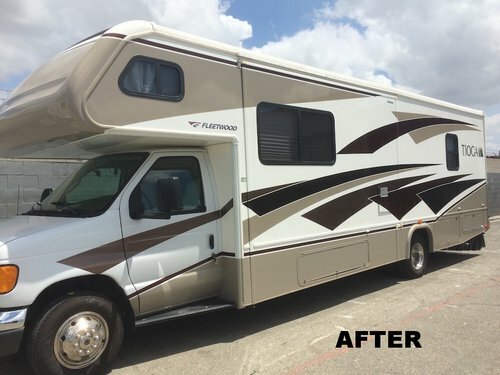 The paint department can recreate your vinyl decals in paint or update the entire look of your rv with newly designed graphics. Unlike a manufacturer’s adhesive mounted decals and graphics, painted graphics will last the life of your RV. 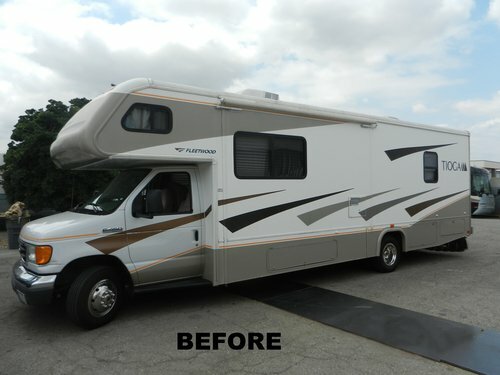 The Paint Department offers on demand video, or photo updates of work being done on your RV.